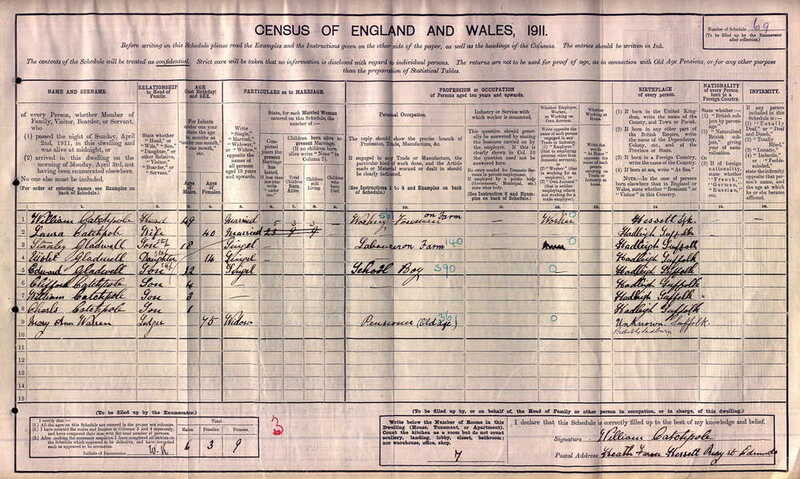 Stanley was born in Hadleigh on 20 January 1893. He was the eldest son of William James and Laura Marie Gladwell. His father died in 1900 and by 1901, Stanley was living at home with his widowed mother and his 5 siblings in Angel Street, Hadleigh. His mother subsequently married William Catchpole, a farm foreman on Heath Farm in Hessett and the family moved there. His mother had another 5 children, the youngest in 1914. In 1911, Stanley was 18 years old and working as a labourer on the farm. 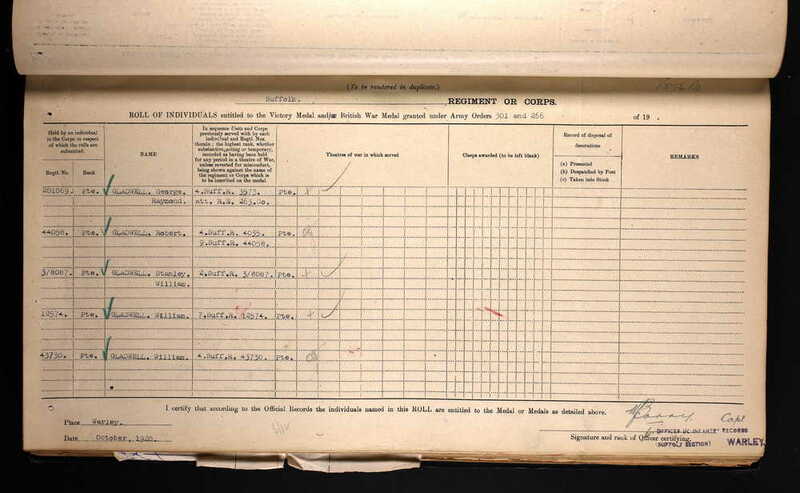 We are not exactly sure when Stanley enlisted into the army, but his Medal Index Card states that he first arrived in France on 30 August 1914. This would suggest that he had joined the army and undergone military training before war broke out. We know that the 2nd Battalion of the Suffolk Regt were at the Curragh in Ireland at the outbreak of war. They were rushed to France, landing at Le Havre on 17 August 1914. It was not long before they were in action and they played a prominent role during the battle of Le Cateau on 26 August 1914, where they suffered heavy casualties. 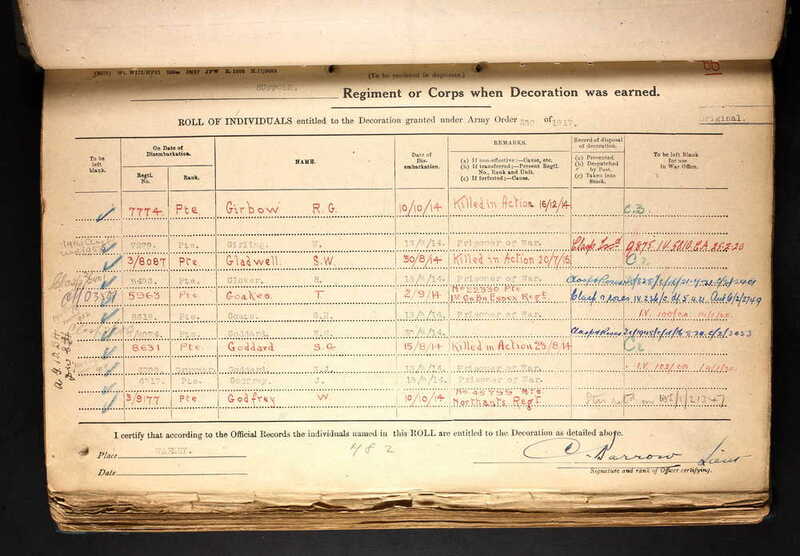 It would appear that Stanley was then shipped out to join the battalion as a replacement. By 8 July 1916 the 2nd Suffolks where in the area of Carnoy and taking over positions in the front line. Over the subsequent days they were involved in a lot of support work; carrying parties, clearing trenches, repairing roads and digging trenches. The odd patrol was also sent out to recce the enemy positions. On the evening of the 19 July 1916 the Suffolks received orders from the Brigade Major for an attack on Longueval. Their objective was to clear Longueval and sweep the NE portion of Delville Wood. Also, they were to consolidate Duke Street to the North of Longueval. 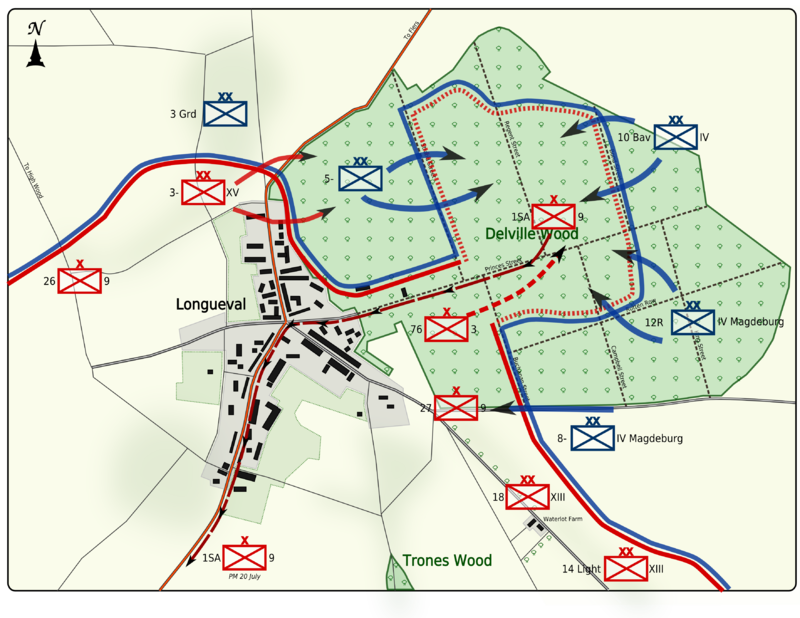 Sketch map of Longueval from a 1916 war diary. Duke Street is shown to the North of the village and Delville Woods is the area to the East. Assuming Stanley remained with the 2nd Suffolks, he would have seen action during the 1914 battles of the Marne and the Aisne, the battles of La Bassee and Messines and the First Battle of Ypres. In 1915 and early 1916 he would have seen action in and around the Ypres Salient. In early summer of 1916 Stanley’s battalion was moved to the south to take part in the battle of the Somme. Stanley was entitled to the above medals. The current whereabouts of the medals is unknown. The artillery would be lifted at 3:35am on the 20th July 1916 at which time the Suffolks’ lines were to advance. There was heavy mist and the 2nd wave lost their direction. Machine gun fire was heard. Reports from wounded and the arrival of 5 prisoners gave the impression that all was going well. However, news stopped coming in. At 4:00am an officer went out to get an update. On his return he reported that enemy machine guns were active near the junction of Duke Street and Piccadilly and it was impossible to move in the open. Other reports talk of enemy snipers. 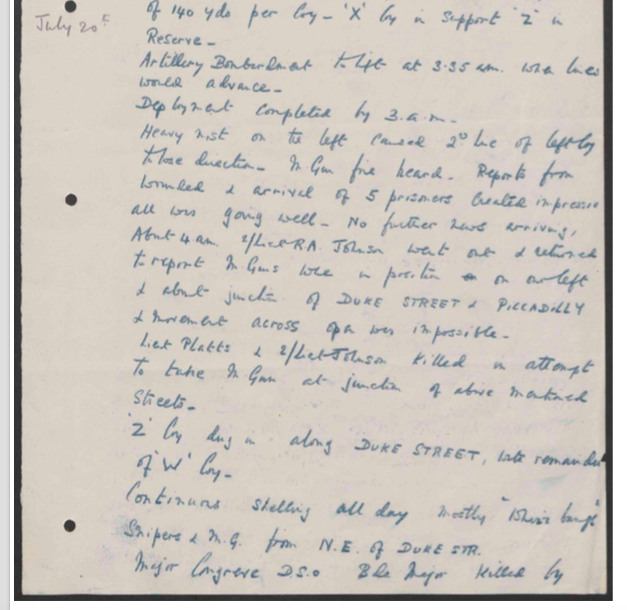 The war diary lists a number of Officers killed by sniper and machine gun fire at this time and so it is likely that many soldiers (Other Ranks) were also lost at this time, including Stanley. Stanley’s body was never identified and so his name is commemorated on the Memorial to the Missing at Thiepval. The memorial lists the names of some 72,000 men who went missing between 1 July and 18 November 1916. Stanley is also remembered on the Hadleigh memorial and the Hessett memorial. 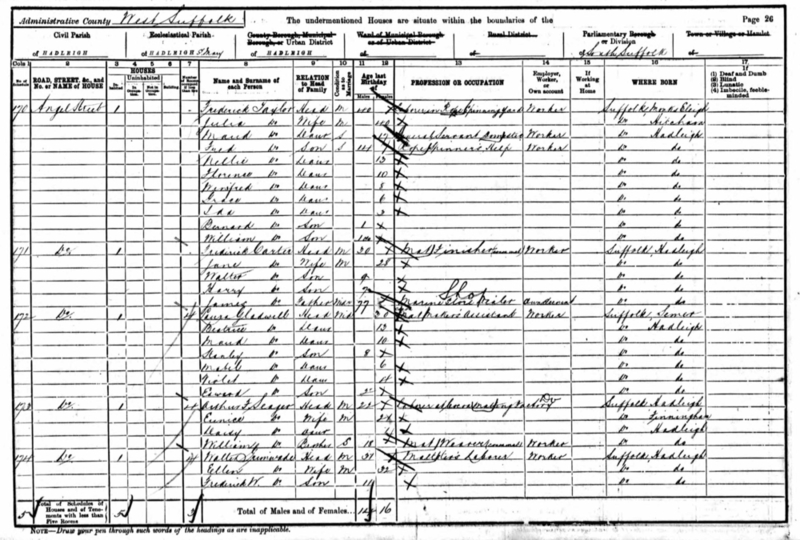 We hope that this page has been able to tell the story of Stanley William Gladwell. If you know of any information which might help to add to the story then please get in touch.